Women rule the Melodic Tonic ’18 May 16th edition. 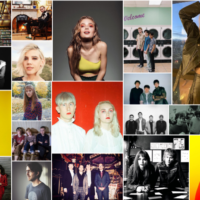 Many of these six songs feature strong female voices – some well known; some new. These artists represent Canada, Germany, New Zealand, and USA. The terms substantive and richly textured are seldom paired with dream pop because most artists in that genre opt for stark minimalism. Those who stick to breezy vocals and sparse, soporific instrumentation run the risk of lulling their listeners into a stupor. Let’s face it: it’s hard to appreciate a band’s nuanced delivery when you’re asleep. This, of course, is an unlikely scenario for Toronto indie outfit Bernice. Their new single “He’s the Moon” has all the hallmarks of an avant-garde dream-pop masterpiece: ethereal vocals that soothe your senses paired with lush instrumentation that elicits a blissed-out sigh. This song evokes the vibrant, blossoming energy of spring by sampling from multiple music genres. Their hybrid fusion of dream pop with elements of improvisational jazz make “He’s the Moon” irresistible. The LP Puff: In the air without a shape arrives May 25 via Arts & Crafts. You can pre-order it from these streaming/purchase sites. Bernice are: Robin Dann, Felicity Williams, Thom Gill, Dan Fortin, and Phil Melanson. There is much to love about Devore’s sound. The richness of her voice stands out immediately, along with the production that lets her vocals shine over the sleek instrumentation. This is not straightforward, traditional “pop” music. No, this downtempo fusion of pop with electronic accents has a cosmopolitan allure that should help Devore reach next-level stardom. 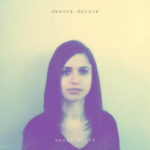 Deanna Devore is one criminally overlooked artist. Hopefully the arrival of her new album will bring her two things she deserves: worldwide recognition and a deal with a major label. It boggles the mind how she has gone this long without either. This single is available now from these streaming and purchase links. 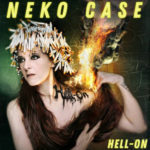 The first singles from Neko Case’s upcoming Hell-On album (“Bad Luck” and the title track) showcase her fierce vocals, to the delight of her many fans. However, neither track featured any of the superstar artist cameos that had been teased. Lest anyone doubt that the roster (which includes k.d. 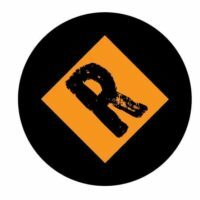 lang, Calexico’s Joey Burns, New Pornographers’ A.C. Newman, and others) was “fake news,” yesterday Case shared “Curse of the I-5 Corridor” featuring Mark Lanegan (Screaming Trees, Queens of the Stone Age). 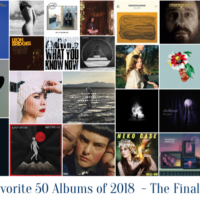 Hell-On is already on our Favorite Albums of 2018 list, even though its release date is still three weeks away. You can pre-order the double vinyl from Anti- and the digital version from Bandcamp. Most people don’t associate New York City with Americana/bluegrass music. 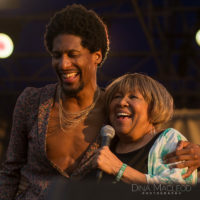 While the city is home to plenty of indie bands, those who fall under the oversized “Americana” umbrella usually tour there but hail from warmer southern regions. 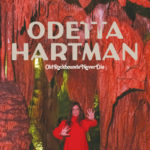 Odetta Hartman is, in every sense of the word, an anomaly. She’s a Big Apple native whose brand of “cowboy folk” will have you swearing she’s from Nashville or Austin. The reason for her authenticity is simple, really: Hartman’s exposure to many genres in her childhood is the basis for her rich sound. And much like her southern contemporaries (Adia Victoria, Valerie June), what Hartman offers is an authentic voice and unmistakable originality. “Misery” is beguiling from the first note. This lead single is from Old Rockhounds Never Die, the follow-up to her 2015 debut LP, 222. Hartman already knows how to win over new fans with her unique sound. This album should land her on the doorstep of becoming a household name. Old Rockhounds Never Die is slated for release on August 10 via Northern Spy Records and Memphis Industries. Pre-orders are available here. 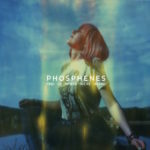 “Girls Trip,” the debut single from German indie electronic-pop group PHOSPHENES, wowed us back in March. We became hooked instantly on the “champagne vocals” and New Wave-inspired sound. Now the trio’s “Boy in the Hood” follow-up has us falling in love all over again. The lush intro builds suspense with each crystalline note vocalist Julee Bee utters. The song’s downtempo sleekness would be an ideal soundtrack to a midnight adventure under the stars. You can easily envision hearing this ethereal track pulsing beneath a pivotal film scene – or even in your own evening plans. Phosphenes have a remarkable talent for creating sultry soundscapes, and “Boy in the Hood” is just another example of this. We simply cannot wait to become lost in the world they create on their upcoming debut album. Find Us Where We’re Hiding arrives May 25 via FAYZ Records, with pre-orders from band’s website. These days the number of music sub-genres is staggering. This is great for music fans whose interests veer far from the mainstream path. 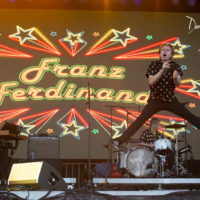 But bands with an eclectic blend of influences? Those can be harder to describe. 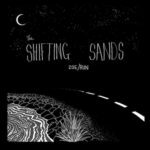 However, some bands defy traditional terms, like emerging indie trio The Shifting Sands. Their “Zoe” single reminds us of a specific place and time: sunset on the last day of a festival when you have achieved maximum bliss. You know the feeling – when the temps begin to cool with approaching nightfall and your frequency remains tuned into your fellow festivalgoers as you groove to the same beats. Now add some warm sand and palm trees (since these guys hail from the southeastern coast of New Zealand), and we could call it tropidelic? The Shifting Sands use psychedelic tones to transport you to another realm, via an unexpected ‘90s detour. Oh yes: their dreamy sound incorporates some vintage vibes that will call to mind the dusty, mysterious warmth of Concrete Blonde with the sonic density of Big Star and Sonic Youth. Trust us when we tell you: “Zoe” deserves to be on every summer playlist, no matter where you live. You can grab this single in digital and vinyl formats at Bandcamp from Fishrider Records. The Shifting Sands are: Michael McLeod (vocals, guitar), Steven Schayer (guitar), Tom Bell (bass), and Jake Langley (drums). South east of New Zealand (Dunedin) is cold. Always. Penguins, cold. So no, Tropidelic might not be the best description.